I have searched far and wide. My search has been long and hard, in fact more than hard; it has been excruciating, terrifying and often hell bent. What I have to teach you will comfort you, while other things will surprise you. Some will cause you to cry out for joy to your Father, while some will be difficult to accept. Nonetheless, I am persuaded that the tangible reality of Who our Father is will cause the most resistant to release the binding shackles of mere humanity and begin to experience the wonders of being His son. MY DEAR SON, It will always be easier to cry in your soup than it is to accept that you are still mortal. I know, I know. The promise is not a promise to struggle. But it's a process; a process intended not only to change you but to keep you humble, teachable, soft-hearted and compassionate. Giving you the power to live perfectly without allowing the time for your mind to be transformed is a tad reckless, don't you think? In the meantime, I have your back. Stay repentant, attentive. Resist arguments and trust your 'now' to the only one who can make it glorious. Why, look up right now...amazing things are happening. You win. "I AM a son." There is no phrase more comforting, no truth more compelling, no title more honorable. There is no reality more life-changing, no word more powerful, no position more final. There is no phrase more empowering than the truth of these four little words: "I AM a son!" These simple words can draw you out of a cold night and into the warm sunlight of morning. They can ensure your future and convince you of your Father's intent. They can give confidence where there is uncertainty, hope where there is despair and an identity that can never be stolen. "I AM a son!" Our Father has always loved His sons. He has always been very protective over them, reassuring them of His faithfulness. He is confident of His own ability to fulfill His dream for them. He spoke through prophet after prophet, epoch after epoch, encouraging, directing, disciplining and calling His sons to Himself. Here is what we cover during the 12 sessions:. 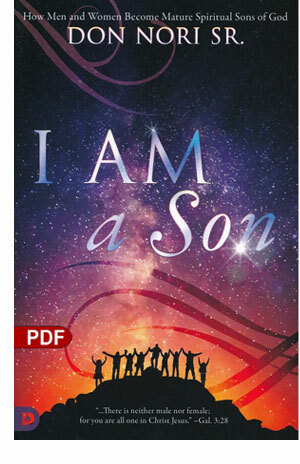 "I am a son" is statement of identity and of Life. It is a declaration of destiny and empowerment, of love and of confidence. No testimony can be greater than the realization that above all else in life. I AM a son! That four word declaration changes everything. In this session, you will learn how your spirit must touch His Spirit, not in the usual Pentecostal ways, but in the heart of calamity, failure, mistakes and sin. Discover the unlimited power of my Father's unconditional, never-failing, always-healing love. God has your back, but there are definite things you must recognize and do to complete the process. There is no omen or divination against you that God has not already overcome. Learn to appreciate this reality in your life so you can stop struggling so much. Uncover a way out of the vicious cycle of blame and shame to become a responsible Son and the NEW YOU. Everybody wants to be a "mature" son. Everyone wants the inheritance coming to them as soon as possible. Your inheritance is far more than what you can see. Your inheritance is far more than what you can stuff in his pocket. You can stand to reap a maturity, a development of character, a 'becoming' that will not only give you wealth for the present but wealth for your children for generations to come. Your father wants to give you wisdom, authority, and honor for the rest of your days. In the crucible of hard times, in the midst of the failure, confusion and uncertainty of my human condition, I AM intended to discover what cannot be discovered any other way. When I embrace my Father and He embraces me in comfort, re-assurance and love I begin to see the depth of His commitment to me, His unwavering determined assurance that I AM His son. In our endeavor to find Him in all His blessing, we tend to take the path that appears to be the quickest way to getting all that is coming to us and the fulfillment of our Father's dream for us. But there are no shortcuts that lead to permanent growth. And without genuine growth, there is no authentic maturity. The growth process requires daily obedience, daily dying to self-promotion, self-exaltation, self-gratification and self-centered lifestyles. Once Israel crossed the Jordan River, they never again longed to go back to Egypt. But to cross the Jordan River, the Israelites needed to find the source of power required to truly have a new beginning. The POWER that would part the Jordan was nowhere in the Wilderness, but rather their obedience. Learn to develop a lifestyle of instant and radical OBEDIENCE. Here we discuss the picture of a maturing son and how he will be recognized in the earth. Learn to step through the process of becoming a mature son will cause those around you to identify you as more than just another person, another preacher, another church member, another religious person. Authentic sons are the foundational stability for any society that wants to endure. Sons are spiritual statesmen whose lives encourage those who are pure in heart, those with no need to control. The foundations of humanity's man-made attempts to reach God are shaken when simple folk like you and I begin to understand not just who we are, but why we are. Once we begin to make this momentous discovery, everything changes. Self-discovery is most essential to a maturing people, for no one else can really tell us who we are. They can only confirm it. We must find it first within. Sons don't pass the cup to someone else. They don't ask another to do for them what they are responsible to do for themselves. Sons pay their own way. They don't expect something for nothing. Sons carry the weight and responsibility of their own "becoming". They embrace their Father within and confront the resistance of the carnal man without. Rather than running from hardship, they eat it for lunch. They don't resist the King's insistence to change, but instead surrender to change even when they don't understand and it hurts. Humanity's disconnect with reality has never been more glaring than is it in these opening years of the 21st century. Most people, even Christians, live in a delusional world of their own imagination, believing whatever they decide is correct with very little corroborating evidence. Discover how to be a DIFFERENCE MAKER, a shining master of authentic reality and hope. Understand the life of surrendered living that leads to indescribable glory. My Father is Divine in nature. His offspring (you and I) are the same. There is something very different about those who carry the essence of two dimensions, both natural and spiritual, within them. Within every human being abides the portal to the realm of the heavenlies. We are the gateway to two very different worlds that have little in common to each other. Discover how to be an effective Kingdom Ambassador by being in the Spirit without abandoning the human realm (the natural). There was never a person like Jesus on this planet. There was never One who lived like Him or died like Him, enveloped with purpose, empowered by destiny and motivated by pure Divine love. Seeing the pattern of the Son of God is eternal as it is practical. It is deliberate as it is empowering. It is a pattern recognizable by those through Whom He lives. But these understand that Jesus is far more than a pattern. Jesus only needs us to surrender to Him that He might do His Divine purposes through us. Don is a father in the faith, a man who has an ear to hear what the Spirit is saying for right now. He has a burden to see believers to come into alignment with one another and Kingdom purposes. He is also a man of moral character and his family is in biblical order and an example of Christs love for the Church. I personally have listened to Don speak on many occasions and he has had a ripple effect on my walk to seek the Lord in deeper intimacy and his teachings have encouraged me to go deeper and enhance my spiritual communion with Holy Spirit. In late 2017 and early 2018, Don Nori, Sr taught this powerful 12 lesson class to a LIVE global audience to help people achieve breakthroughs and unlock God's potential within them. You can see a description of those 12 lessons above. When you register, you will receive IMMEDIATE ACCESS to a private member site with video and audio replays, study guides, PowerPoints, and transcripts for each lesson. YES! I want to understand my true identity as a son of God so I can live a victorious life full of joy and adventure! As a member, you will receive access to the video replays, audio replays, outlines, transcripts, and PowerPoints through June 30, 2018. Blessings be understand and embrace your true identity in Christ! Don has written 21 books of his own and is a respected Christian philosopher, entrepreneur, consultant and public speaker. 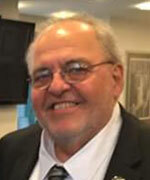 He is an international Ambassador of world peace, recipient of the International Golden Rule Award, and holds an honorary doctorate, the United Graduate College and Seminary International.